Michelle Curran aka “ChefMitchie”, is a cake/ sugar artist based in Las Vegas, NV. 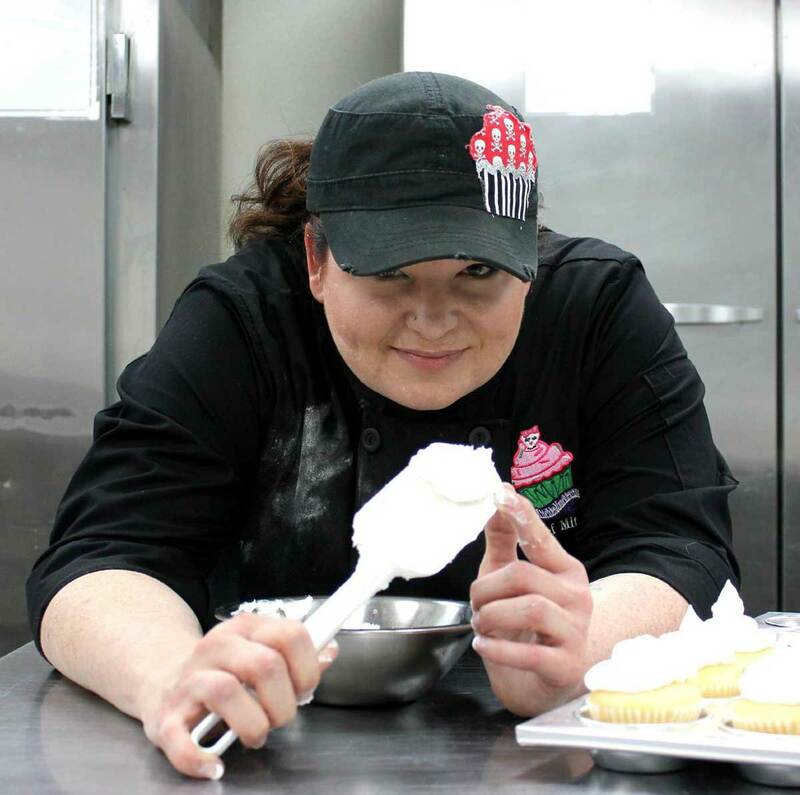 Nicknamed “Femme Fatale of Fondant”, by NV Pageant Magazine, her career in edible art has led her to compete locally, nationally, and on Food Network, making her an award winning cake artist. Her truest passion as a Private Cake Artist is creating custom cake and sugar art for her clients, which have included World Renowned DJs, celebrities ,and professional athletes; it keeps her nestled inside her Las Vegas studio when she is not travelling the nation performing product demos and teaching the craft of cake decorating. Mitchie is often referred as a product expert for top cake decorating supply companies and has designed food-grade silicone molds for Decorate the Cake. Overall – Mitchie is one of the happiest cake chicks you’ll ever meet. She possesses 30+ years’ experience from a hobby gone bananas into launching a successful business. Loves to learn, share, and make “artistic treats you can eat.